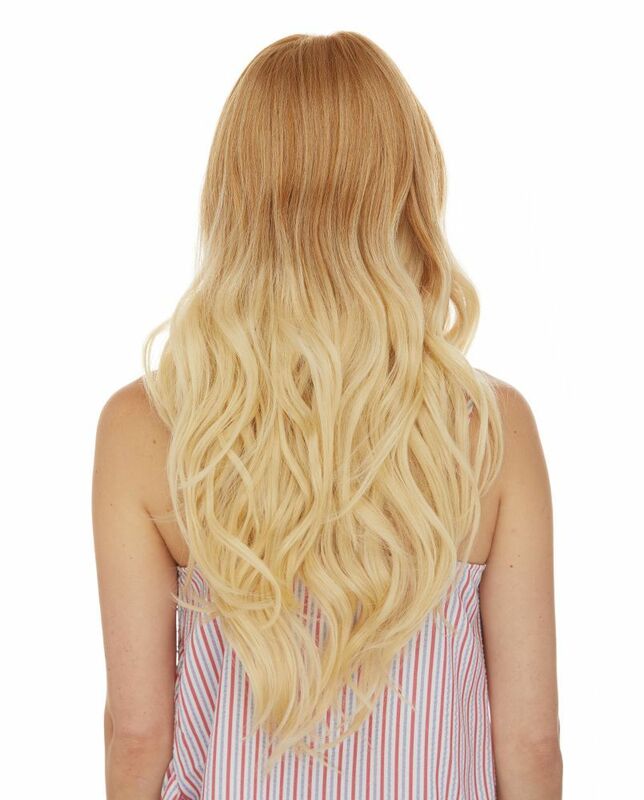 Long human hair blend wig with loose beach waves and deep center part. Gorgeous volume with added comfort of our newest lace front design allows for part to moves naturally even in this fabulous length. 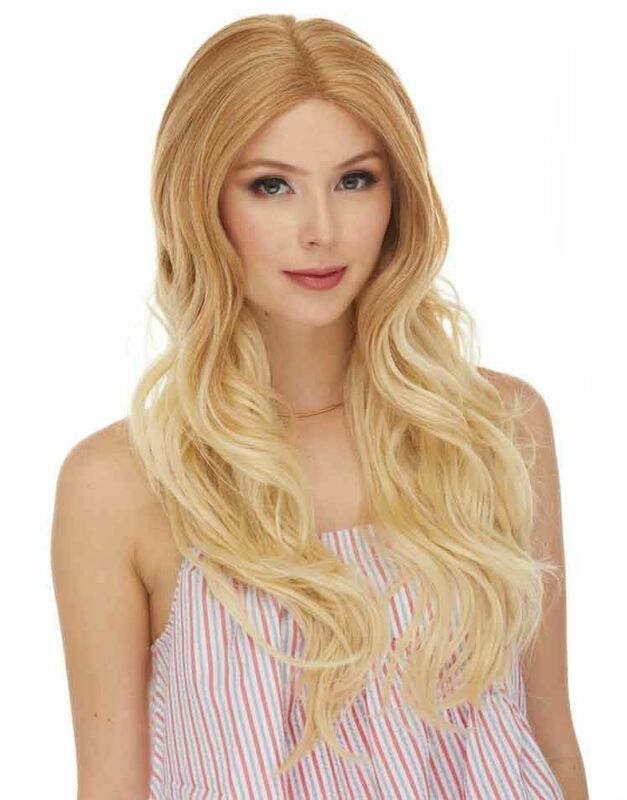 This, together with human hair blend mixed and truly exceptional colors blends of strawberry blond, auburn and dark drown makes this one of our favorite lace front wigs for 2019. 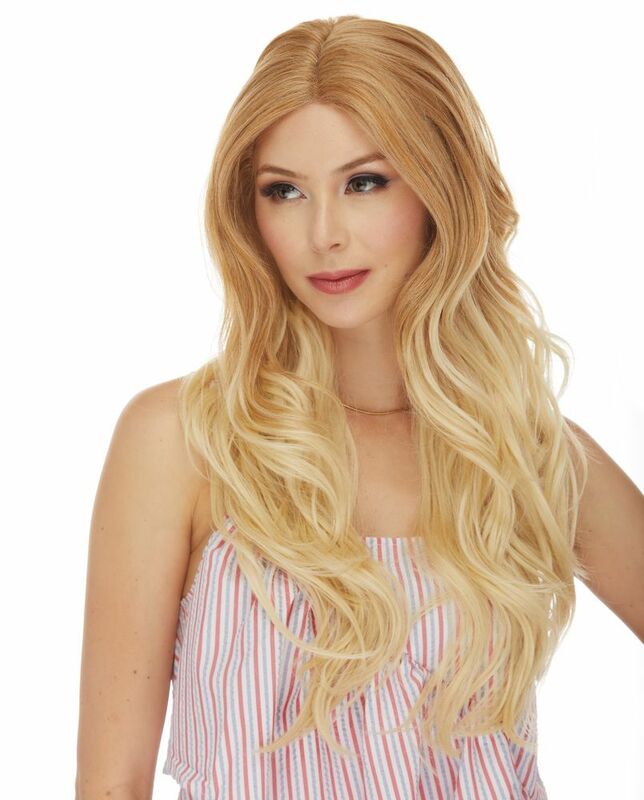 Model is wearing this wig in our custom blend of strawberry blonde crown with pale blonde tips (T27.613).